Today marks the halfway point of the month of November–although the weather has felt far more like early September, hasn’t it? The one day that I wore a sweater this week, I was far too warm. What a nice problem to have in November: a string of sunny days. 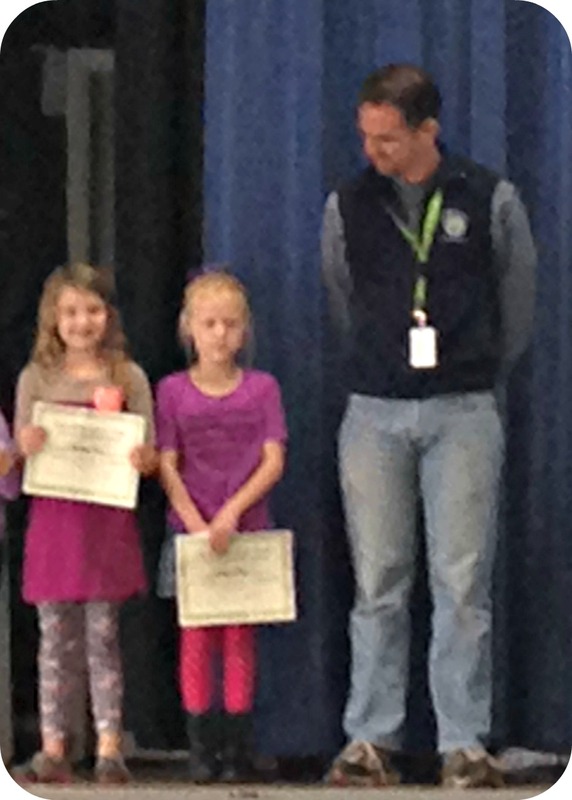 This morning I had the opportunity to watch my daughter receive a character award, for compassion. Isn’t that a great reason to get an award? She was delighted to be recognized, and she beamed as she shook her teacher’s hand. A blurry phone photo of a proud girl. I do love the holiday season, and especially the Thanksgiving reminder to be grateful for what we have. In the next few weeks we will be hosting a few giveaways on our Facebook page, here, to say thank you to all of you, our loyal customers. You are the reason that we are in business, and November is a good season to pause for a minute and say thank you. Today I am thankful for another blue sky day, gold leaves that crunch underfoot, and a little girl’s joy. This week we have a Hawaiian offering for you, from the island of Maui. These arabica typica beans are grown on a large estate just north of Lahaina. You can visit their website here, and they have a YouTube video of the process from farm to cup here. The video is particularly interesting, because it shows both a wet-processed coffee and a natural coffee, as we discussed with our two Balinese options last week. Keep in mind that this is a first world operation, very mechanized, and very different from the small farm and hand picking method used in much of the world. This Maui Grown is brought in green, as are all of our coffees, and roasted right here in our store. It has a medium body, bright clean flavor and it cools to chocolate tones. This comes one hundred percent from Maui, and it is the only plantation on Maui, so it’s a unique bean. If you love the smooth flavor of a Kona coffee, you’re sure to love this Maui Grown too. Enjoy a cup on us today by using the code thank you*. In other news, we have had so many requests for Eggnog Lattes that we started serving them early this year. Eggnog Lattes, Peppermint Mochas, Hot Apple Cider and Hot Chocolate with Mini Marshmallows are all being offered now. While the weather is still good, come on in and try your favorite holiday drink. I’ll be sipping Maui coffee this week, and enjoying memories of our Hawaiian trip last January. Cheers! *Code good for one free 12 ounce cup of Maui Coffee. Code expires on 11.21.13. Limit one free cup per customer please. Valid only at Carolines Coffee Roasters, 128 S. Auburn Street, Grass Valley, CA. Code/Offer has no cash value.